Current ADH–2A COM production uses an improved brushless single diaphragm compressor with a continuous operation life exceeding 50,000 hours in place of the original 8,000 hour brush-type unit. When operated at the recommended 10 percent cycle the new compressor increases the nominal life from 9.2 to 57.25 years. 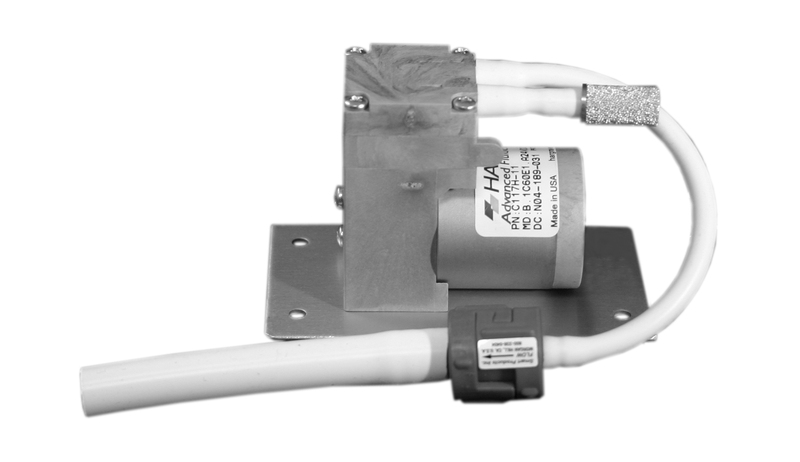 The upgrade kit directly replaces the earlier compressor with the new brushless unit. This kit extends the service life of the ADH–2A COM while increasing the compressor replacement interval to 50,000 hours. In addition to eliminating brushes, the new compressor uses anti-friction bearings along with a longer lasting valve and diaphragm material. In addition, the brushless design tolerates the stop-start operation that is a characteristic of dehydrator applications.